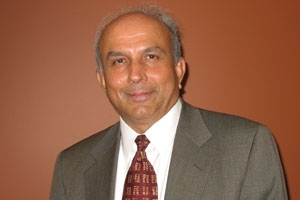 Fairfax Financial Holdings doubles stake in RIM after Prem Wasta joins board | BlackBerry Blast! It appears that some people still believe in RIM. Bloomberg reports that Fairfax Financial Holdings Ltd., has doubled its stake in RIM. Fairfax is run by Canadian investor Prem Wasta who recently joined the RIM board. Fairfax Financial Holdings Ltd., the insurer run by Canadian investor Prem Watsa, doubled its stake in Research In Motion Ltd. in a vote of confidence in the BlackBerry maker after Watsa joined the company�s board. Fairfax owns 26.85 million RIM shares, up from 11.8 million shares in September, according to a regulatory filing today. The company raised its stake to 5.12 percent, worth about $437 million based on yesterday�s closing price. Apparently Mr. Wasta is very well respected in Canada, and the news of his investment in RIM could be big enough news to affect the stock price. Finally, some good news for RIM.